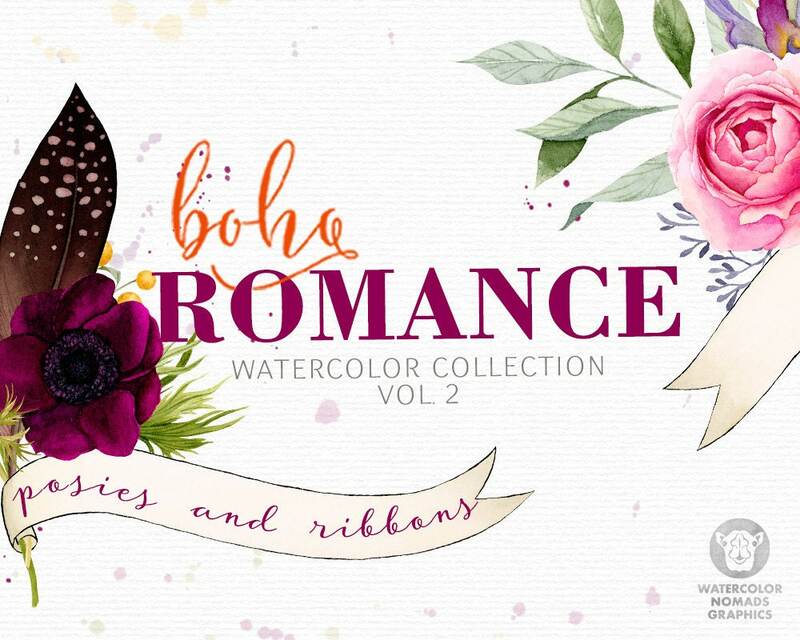 Boho Romance is a very romantic watercolor clipart collection for the bohemian soul. 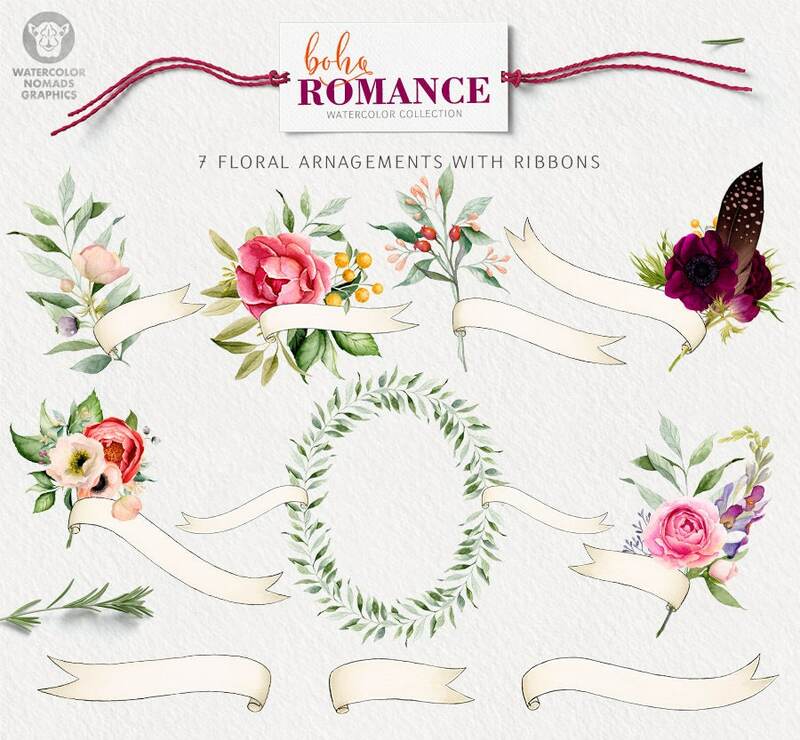 Volume 2 here includes a bunch of posies and a wreath plus some nice neutral ribbons. 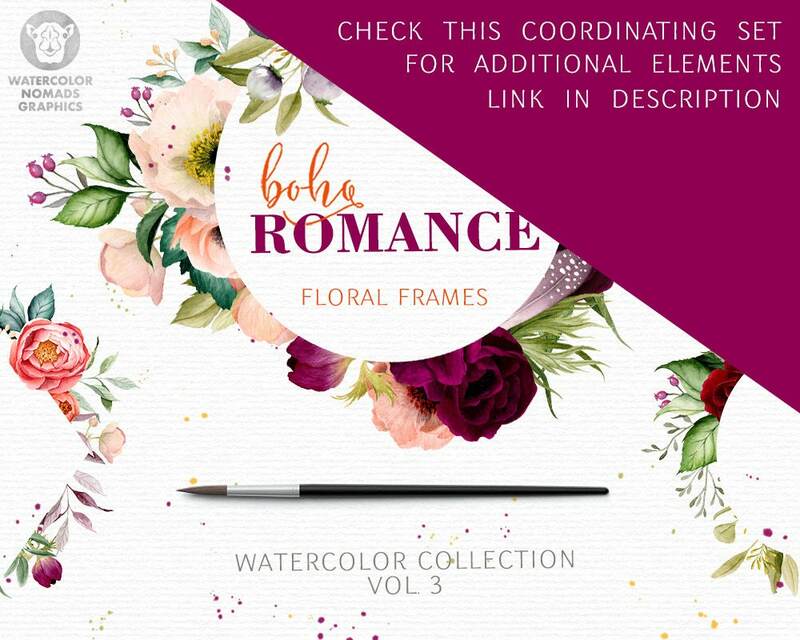 These graphics are perfect if you want to design any stationery for a romantic event like engagement or wedding. 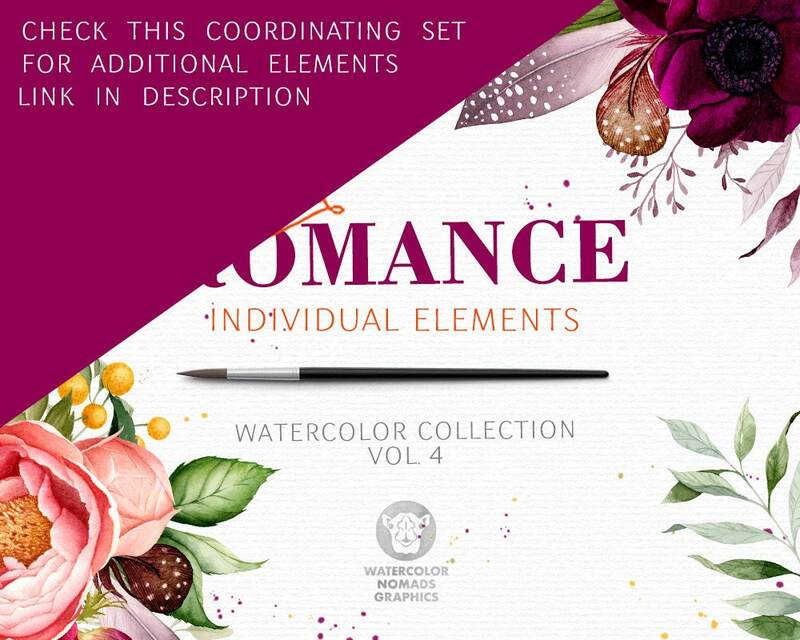 They're great also for scrapbooking, anniversary cards and gifts or packaging design for cosmetics and natural products. There are 6 posies / bouquets with ribbons, one big wreath with ribbons and three individual ribbons in this listing. All the files are high quality PNG with transparent background and 300 dpi resolution. Approximate size 1300 X 5600 pixels. 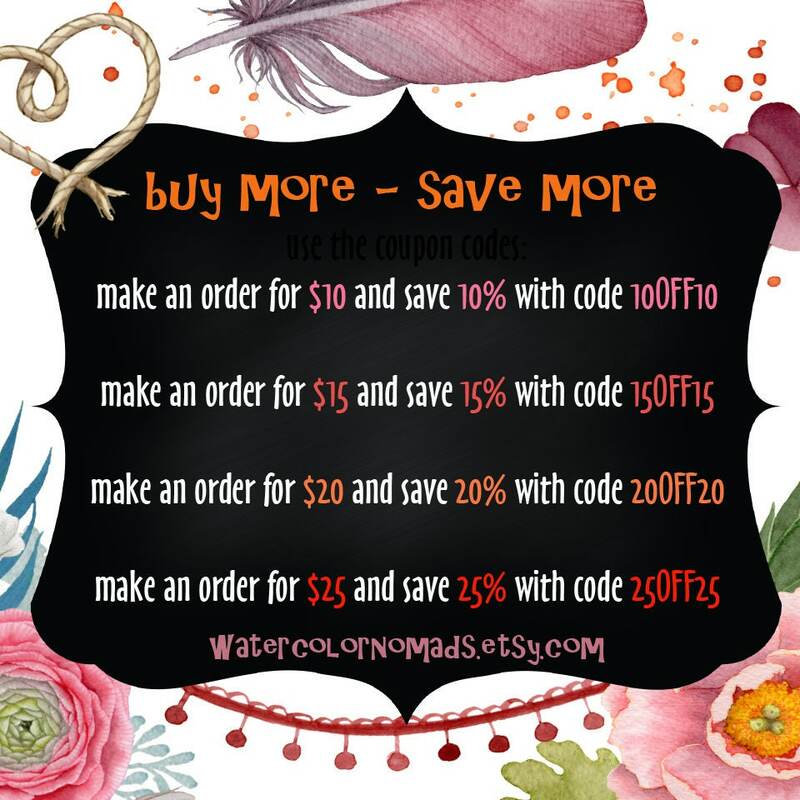 These are big and will allow you to make good quality large scale prints if you need to. Therefore, by licking "purchase" you expressly waive your right to withdraw from this purchase. With our Standard License you can use these images for your personal or small business needs (keep it small under 500 print count total). Each set comes with standard license, unless other license is addressed in the description. 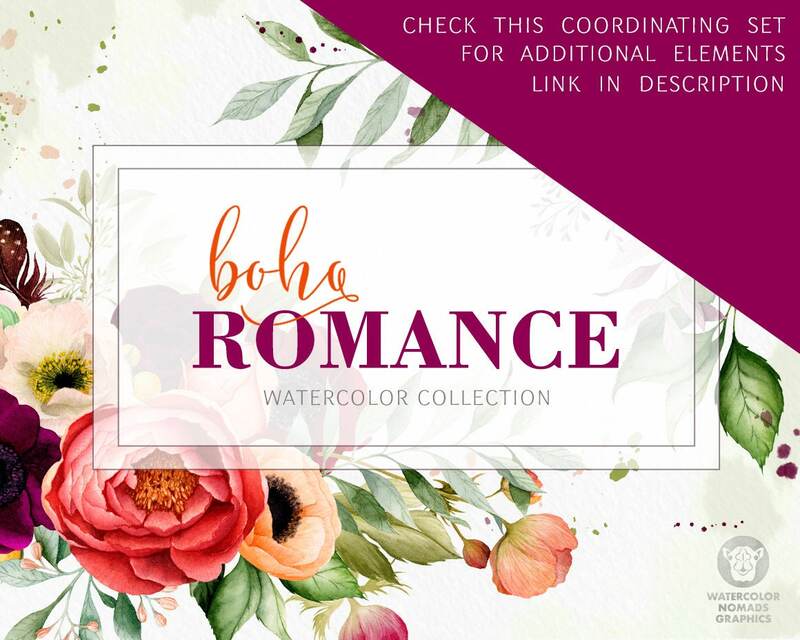 We greatly appreciate credits given where appropriate "Artwork by Watercolor Nomads"
If you are offering digital download printables you need a Commercial License. 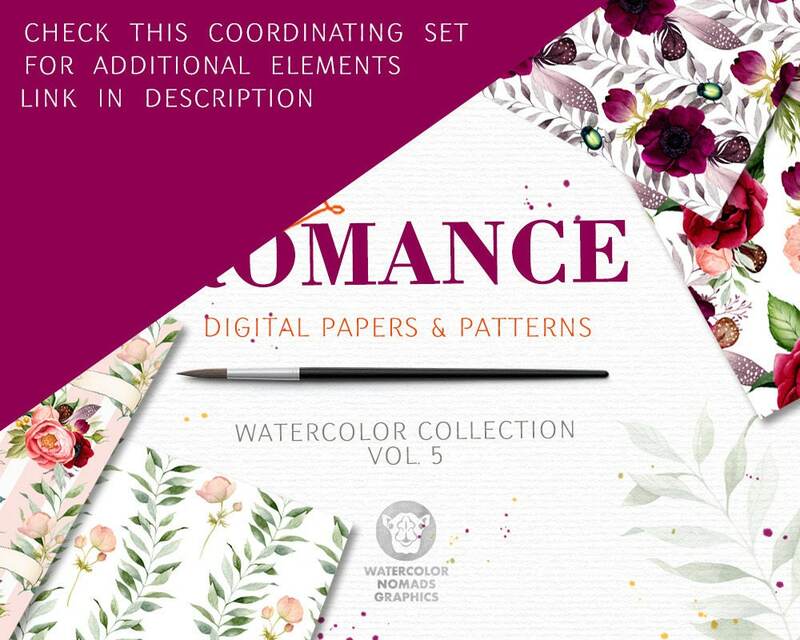 You are not allowed under any license to create directly competitive products like digital papers, patterns, collage sheets or any other product that will be competitive to the original clipart product. Machine Embroidery digitizing is allowed for personal use or use of the embroidery files by the digitizer for example on a clothing line made by him/her. Sale of digitized files is not allowed. 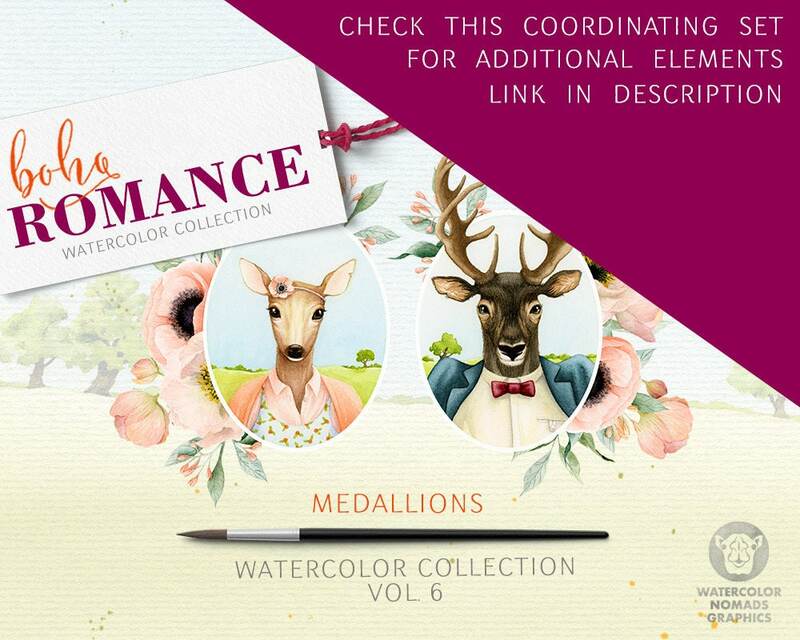 Our Commercial License gives you the right to use the illustrations/clipart for commercial purposes for 2000 items total. If you need less, for ex. 1000 then just purchase another standard license (same collection). For Mass-Production feel free to contact us for quote.